WGN America is continuing to develop their own original scripted series. They’ve just ordered Titans, a dramatic series that revolves around the Farrell clan of the Appalachian mountains. The show will debut sometime next year. LOS ANGELES, CA (Wednesday, August 13, 2014) – Expanding its slate of original programming, WGN America today announced its next straight-to-series order for the scripted drama “Titans,” and the start of pre-production and a writers’ room, with an eye toward a series order, for the scripted series “Underground.” Both series will be produced by Sony Pictures Television (SPT) and Tribune Studios for an expected 2015 premiere. “WGN America has made a commitment to quality programming and we are happy that working together is a significant part of their growth strategy,” said Zack Van Amburg, president of programming and production for SPT. “High-quality original series have consistently helped establish channel brands with the audience, and WGN appreciates and takes that value proposition seriously,” added Jamie Erlicht, president of programming and production for SPT. A struggle for power and control set in the rugged and mysterious hills of Appalachia, “Titans” tells the story of the Farrell clan, a family of outsiders who’ve been in these parts since before anyone can remember. Living off the grid and above the law on their mountaintop homestead, they’ll protect their world and defend their way of life using any means necessary. “Titans” is created and written by award-winning playwright Peter Mattei who also serves as Executive Producer with Emmy Award(R)-winning Peter Tolan (“Rescue Me,” “Analyze This”) from Fedora Entertainment, Emmy Award(R)-winning actor Paul Giamatti (“John Adams,” “Sideways”) and Dan Carey (“All Is Bright”) from Touchy Feely Films and Fedora Entertainment’s Michael Wimer (“2012,” “Rake”). WGN America has ordered 13 episodes of the one-hour drama. For a slave living in the pre-Civil War South, the only road to freedom was a dangerous journey where failure often meant death. “Underground” follows the slaves who set foot on the fabled Underground Railroad, the secret network of men and women who risked their lives aiding them, and the mercenaries tasked with hunting them down at any cost. “Underground” is created and written by Misha Green (“Sons of Anarchy,” “Heroes”) and Joe Pokaski (“Heroes,” “CSI”) who also serve as Executive Producers with Academy Award(R)-winning writer Akiva Goldsman (“A Beautiful Mind,” “I Am Legend”) from Weed Road Pictures, along with Tory Tunnell (“King Arthur,” “Holy Rollers”) and Joby Harold (“King Arthur,” “Edge of Tomorrow”) from Safehouse Pictures. 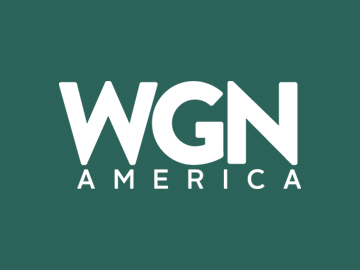 WGN America, the flagship entertainment network of Tribune Media (TRBAA:OTC), is nationally distributed in 71.4 million homes via cable, satellite and telco, with entertainment programming including the original, scripted series “Salem,” “Manhattan” and “Ten Commandments,” along with first-run syndicated series, blockbuster movies and live sports. Through Tribune Studios, the creative development arm of Tribune Company, original content is produced for WGN America and Tribune local stations nationwide. Follow the network on Twitter @wgnamerica. For additional information, please visit www.wgnamerica.com. What do you think? Does this sound like an interesting show? Will you give it a look? More about: Titans, Titans: canceled or renewed?, WGN America TV shows: canceled or renewed? Underground: Will OWN Save the Cancelled WGN America TV Series? Underground: Season Three; Should the WGN America Series Be Cancelled or Renewed? Depends on the plot and the writing. It should be centered on more current events,that people are familiar and struggling with,like if a gas drilling company wants to come on the property and drill a gas well, and build a gas fired power plant, using the newly developing marcellus shale technology, and of course the fracking debate, then follow them through how they would handle the situation, in their own particular backwoods, above the law way.